Last Friday, AS Patric won the Miles Franklin Award for his excellent novel Black Rock, White City. Much of the early press has rightly discussed the novel’s topical examination of refugees and Patric’s unexpected win over higher-profile authors. Indeed, Patric is far enough outside of the literary mainstream that the Guardian even erroneously reported that Black Rock, White City was his first book (it’s his fourth). But in some respects, the most surprising aspect of the Miles Franklin win is Patric’s publisher – Melbourne-based, independent press Transit Lounge. Transit Lounge, founded in 2005 by Barry Scott and Tess Rice, is a relatively new publisher and a very small one: Scott is its only full-time employee (although Rice is a full business partner). By my count, Transit Lounge is only the fifth Australian small publisher to win the Miles Franklin. The others are Text, Giramondo, University of Queensland Press, and Fremantle. But Transit Lounge differs considerably from these other publishers. Text is a much larger publishing house, and might more technically be classed as a mid-level independent publisher. University of Queensland Press and Giramondo (housed at Western Sydney University) both enjoy significant institutional support. Fremantle Press, now forty years old, has received strong community and state-funding support, and has had a long-running distribution deal with Penguin. Put simply, no publisher like Transit Lounge has ever won the Miles Franklin. It is fitting that Patric’s book would bring Transit Lounge this recognition. Patric has been an enthusiastic participant in Melbourne’s literary communities, as a bookseller at Readings in St Kilda, a former editor of the online journal Verity La, and an audience member at many launches and readings. Patric has also published books of short stories with two small publishers (Spineless Wonders and Transit Lounge), and has been a consistent contributor to various literary journals. In his Miles Franklin speech, Patric even thanked those journals who have published his stories and offered him encouragement over the years. For all of these reasons, this year’s Miles Franklin prize is also a victory for DIY and independent literary culture in Australia. But the win also highlights the fact that small publishers in Australia do not generally receive adequate recognition in national literary prizes. I surveyed the Miles Franklin prize lists from 2000 to 2015 in relation to small presses for a forthcoming chapter in the collection, The Return of Print? (Monash University Publishing). The findings demonstrate that small publishers do not do well in the award generally. Of the 113 titles that have been longlisted since 2005, 31 were small press titles – accounting for only 26.7 per cent of all longlisted works. Of the 83 works shortlisted since the year 2000, 16 were small press titles – accounting for only 19.2 per cent of all longlisted works. Of the 17 winning titles since 2000 (there were two winners that year), only three have been small press titles – that is, 17.6 per cent of all of winners of the Miles Franklin award. As the degree of symbolic recognition being bestowed by the Miles Franklin increases, the likelihood of a small press work being selected decreases. These percentages are particularly disturbing given that, as I have recently argued, small publishers are now the primary mediators of Australian literature and produce more literary titles in total than large publishers do. Based purely on output, you would expect small presses to account for at least half of all longlisted, shortlisted, and winning titles for the Miles Franklin. Some might want to argue that the discrepancy is due to the fact that larger publishers are more selective and thus publish works of higher quality. Setting aside the obviously elitist presumptions of such a claim, material circumstances would suggest the opposite. As Mark Davis has argued, large publishers – generally speaking – publish books based on their commercial potential rather than literary merit or other qualities. Small publishers are far more likely to put out a book that they believe is good but will have a limited audience. Small publishers are also more likely to publish genre-bending, and experimental works, as well as works by Indigenous, migrant, and culturally and ethnically diverse authors. Why, then, do large publishers dominate literary awards? Beth Driscoll offers what I think is the most likely answer to this question in her analysis of literary prizes as a middlebrow phenomenon. Driscoll argues that middlebrow institutions combine ‘respect for culture with entrepreneurialism’; literary prizes thus constitute ‘the ultimate middlebrow dream’ because they locate a happy medium between ‘credibility and sales’. Within the terms established by Pierre Bourdieu, literary prizes, as a middle-brow phenomenon, represent the nexus of symbolic capital (symbolic recognitions of cultural vale) and economic capital (money). That is, literary prizes tend to go to books that feel culturally important, but which will also sell very well. What they leave out are the books that don’t meet both criteria, which is to say commercial fiction that is not recognised (for better or worse) as culturally important, and literary works that are not likely to have a broader audience. Literary awards’ reliance on the mixture of commerce and prestige thus effectively disadvantages small publishers. Because of small publishers’ lower marketing budgets and decreased capacity for distribution, a novel published by a small publisher will likely only sell half what a larger one might do. While a novel at a major publisher might be expected to sell 6000 copies to be deemed a success, most small publishers would be very pleased to sell 3000. This is why Barry Scott at Transit Lounge enthusiastically noted he had printed another 12,000 copies of Black Rock, White City, and expected that he will need to print more; the award will significantly enlarge the audience for Patric’s book and generate money for Transit Lounge. Indeed, Transit Lounge has done surprisingly well with the Miles Franklin, since Patrick Holland’s The Mary Smokes Boys, which they also published, was longlisted in 2011. In general, though, a handful of small publishers have garnered the majority of longlistings, shortlisting and wins since 2000. The standout, in this regard, is Text Publishing, who has had 12 works longlisted for the prize. University of Queensland Press and Giramondo have also had 6 and 5 works, respectively, on the longlist. These three presses account for 21 of the 31 small press titles that have been longlisted since 2005. Only two other small publishers – Fremantle with 3 listings, and Scribe with 2 – have had works commended more than once in this span. A publisher as significant as Black Inc has been listed only once. There are also many well-regarded small publishers, such as Melbourne’s Sleepers Publishing, who have never had a work commended by the Miles Franklin. There are things that could be done to encourage prizes to recognise small publishers more equitably. For one, increased attention to cultural diversity among authors would also benefit small publishers, who tend to publish more diverse voices. Greater attention to the way that cultural mediation frames works ­– and of the inherent bias of literary prizes to the culture-commerce nexus – might also cause judges to reflect on how they make decisions. Finally, prizes should charge different entry fees for larger and smaller publishers. In a recent article about prizes in the Sydney Review of Books, Giramondo founder, Ivor Indyk, noted ‘the thousands of dollars in entry fees I have to pay each year to support the administration of prizes’. For small publishers that lack significant resources of capital, entering titles for every significant award may be prohibitive or, at the very least, present an opportunity cost. 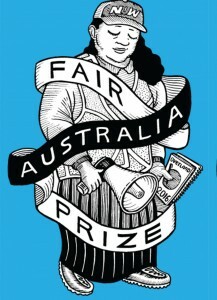 The result is that, while small publishers may produce the majority Australian literary works, it does not follow that they comprise the majority of entrants to the Miles Franklin award. More importantly, though, we need to acknowledge that literary prizes simply do not – and never will – adequately reflect Australian literary culture. Not only do awards largely exclude various forms of popular and genre fiction that have devoted readerships and make important cultural contributions, but also they overlook significant literary works that are not deemed to have broader market appeal by larger publishers. The work of small publishers – who mostly produce books in this second category – thus goes largely unrewarded by literary prizes. The problem, however, is that prizes have become the main way by which books are recognised, and, indeed, canonised. Recent work by Sophie Allan and Beth Driscoll has noted that award-winning books are much more likely to be put on school text lists than those which have not. I don’t want to say that literary prizes are necessarily bad. They often draw attention to worthy books and can provide an essential income boost for struggling authors. They also serve as cultural events that make the broader public interested in literary culture. Some newer prizes, such as the Stella Prize, have also been much better at recognising different presses: two of the four winners have been published by small, independent publishers. 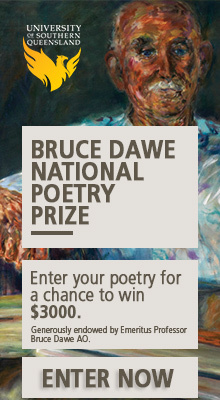 But the cultural significance of prizes remains problematic in that they do not reflect in an equitable fashion how Australian literary culture is produced. I would argue that the goal should be not only to reform prizes, but also to examine critically our institutions to make sure that they reflect the cultures and communities that produce, read, and support literary works. Great piece Emmett, glad you’re crunching the numbers for us here. Though I disagree on one point. I agree that small publishers have smaller budgets for marketing but I don’t agree they always spend less than larger publishers, especially on literary titles. A large publisher may give little or no marketing and publicity attention to a literary title, especially if it’s in a crowded month. Further, and more crucially in my opinion, is the fact that small publishers are prepared to publish books that have smaller potential reach. The 3000 copy mark is not a failing of promotion or distribution but a result of the size of the total market for that book. Thanks for this nuanced and thoughtful response, Alice. Those are great points, which I definitely didn’t do justice to in the article. I 100% agree with you, though! Odd to throw Black Inc in there to boost your argument when they have such a short history of fiction publishing. You also dismiss the role of writers in this piece, and the fact that many writers (and their agents) would seek publication with larger publishers initially, before turning to small presses after some rejections. That practice has an impact on where good books gets published, surely. Why does this sort of ‘analysis’ never seem to be able to entertain the notion that big publishers might also have an uncynical stake in creative work? Many first time authors make no money for big publishers and are still subsequently published. Hi Lizzie, I know anecdote is far from equaling evidence, but when I was seeking a publisher for my first novel, ‘A wrong turn at the Office of Unmade Lists’, I started with small publishers because they were publishing books that reminded me of the one I’d written. I wasn’t seeing anything from large publishers that made me think they’d be interested in my work. Admittedly, after three rejections from small publishers, I did send it to the Penguin monthly catch, because I didn’t know what else to do. Luckily, after it was ignored by Penguin, someone reminded me that Transit Lounge had published the extraordinary and extraordinarily strange book ‘In-human’ by Anna Dusk, so I tried there. The rest etc. This is not to say that big or small publishers are necessarily better, but just that most writers are wise enough to send their manuscript to publishers who have the highest chance of being interested. This would be the obviously elitist argument I mention in the piece. I know many published authors who have never submitted to the major publishers (and never would). I had lunch several years ago with the head of publishing at a multinational who complained that writers were frequently going to mid-level indies and small publishers as the first port of call. I think agented authors definitely go to the big guys first, but agented authors are often those who are already writing work that might meet the commercial criteria of larger publishers. I also know that agents do a lot of work with mid-level indies and even more established small publishers these days. Of course those who work at large publishers believe in what they publish, but they have a different business model, and also often have obligations to shareholders which places different pressures on what they do. I don’t think the commercial focus is bad, but it contradicts the oft-held notion that large pubs care about quality over the bottom line, when this is generally not true. Big publishers also do seek to sign prize-winning/famous authors as a way shoring up their symbolic capital. The problem is that they rarely do the kind of developmental work with new and emerging authors they did back in the 1980s (which is now left to the small publishers, who do all of the work but get little recognition). Black Inc published its first novel in 2007. Transit Lounge was founded in 2005. Not sure what your objection is here.